Dominic Osceola’s first sports season playing for Brandon Academy turned out to be one to remember. 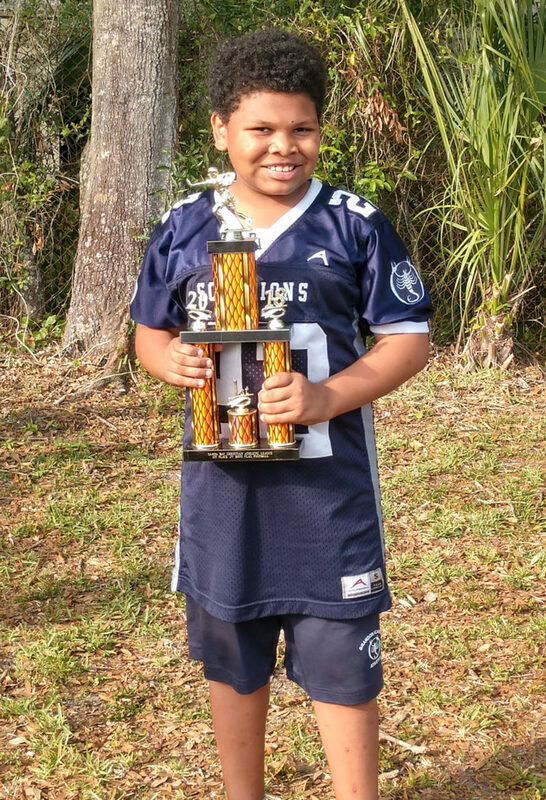 Dominic, a fourth-grader, was a left/right rusher on the school’s Silver flag football team that went undefeated. The Scorpions finished with a 12-0 record. Their perfect season culminated with a 25-14 win against Florida College Academy Blue in the Tampa Bay Christian Athletic League championship game in early March. Now that the football season has ended, Dominic will shift to playing basketball for Brandon Academy. Outside of school, he plays sports with the I-9 Sports program. Dominic comes from an athletic family, which includes his older brother Nigel and younger brother Dorian, who are active in several sports. When Dominic is not on the field, he likes to cheer for his favorite teams: the Tampa Bay Buccaneers and the Florida State Seminoles.